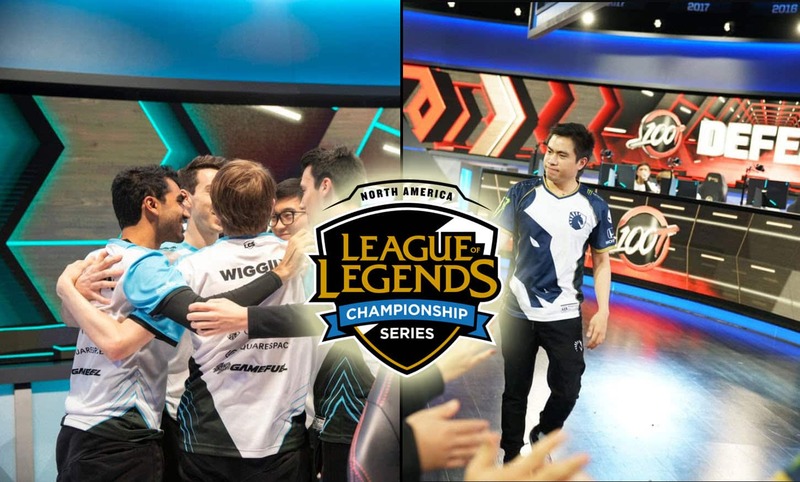 Liquid now the only undefeated team two weeks into the 2019 LCS spring split. FlyQuest moves into second place as six teams are now tied for third. The second week of the 2019 LCS spring split is over. Day 4 of the competition saw Team Liquid go undefeated for the second straight weekend following its win over Clutch Gaming. FlyQuest has taken sole possession of second place with a victory against a struggling TSM. After a disappointing 0-2 start, Counter Logic Gaming upset Cloud9 to complete a 2-0 weekend, moving into a six-way tie for third. Echo Fox joins the group with a win over OpTic Gaming. In a match featuring the only winless teams, 100 Thieves came out on top of a chaotic game against their “NBA rivals” Golden Guardians. 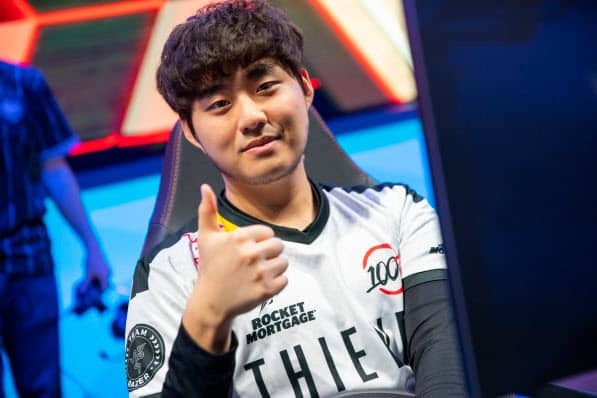 Following an intense trade on the river, Golden Guardians’ jungler Juan “Contractz” Garcia (Nocturne) secured the first kill on 100 Thieves mid laner Choi “huhi” Jae-hyun (Ryze). Bae “Bang” Jun-sik (Ezreal) and Zaqueri “Aphromoo” Black (Braum) roamed from the bottom lane to make it a one for one trade with a take down on Henrik “Froggen” Hansen (Lissandra). The Guardians also secured the bonus gold for the game’s first turret in the bottom lane as 100 Thieves willingly gave up the objective to focus on the top side of the map. Playing off its good range, 100 Thieves found a good pick on Kim “Olleh” Joo-sung (Soraka) and nearly picked up a kill on the support. It did give them enough of an advantage to start a fight, which led to three kills and a good Baron call only 22 minutes in. GGS found a good pick on a split pushing huhi but 100 Thieves still had a good powerplay, picking up four turrets. Golden Guardians found a way back into the game off an initiation by their opponents. As the 100 Thieves players got separated during the fight, GGS secured four kills. It eased some of the pressure and allowed the team to push back through the mid lane, picking up two more kills just in time for the second Baron. Just as the game seemed to go in GGS’ favor as the team looked set to secure the objective, Contractz missed his Smite. Even with jungler Andy “AnDa” Hoang (Camille) already down, Kim “Ssumday” Chan-ho (Akali) stole the Baron. Ssumday, huhi and Bang jumped into the pit and won a 3 versus five fight to score a clean ace. Holding the Baron buff, 100 Thieves once again had control over the game and went for the final push. The Golden Guardians still tried to defend their base, but 100 Thieves won the fight with four kills and went straight for the Nexus to score its first win of the LCS split. Niship “Dhokla” Doshi (Urgot) kicked off with a solo kill on Echo Fox’s top laner Colin “Solo” Earnest (Ornn). Apollo “Apollo” Price (Kai’Sa) and Nickolas “Hakuho” Surgent (Thresh) won the bottom lane matchup to secure the first turret for Echo Fox. Having complete control over the bottom side, Fox piled up an impressive three Mountain drakes as well as an Infernal, building up a solid win condition from the start. Following a teamfight in the mid lane, Fox secured two kills, crucially taking down OpTic’s jungler Joshua “Dardoch” Hartnett (Rengar). With no Smite on the other side and powered up by its three Mountain buffs, Echo Fox had little trouble securing the Baron buff and made it all the way to the bottom lane inhibitor. When the second Baron came into play, Fox found yet another good teamfight, picking up three kills to one in order to secure the buff once again. This time around Fox simply finished what it had already started earlier, acing OPT inside the base before taking down the Nexus to secure the win. Liquid got off to a good start with the first blood coming in the bottom lane. Following a gank by Jake “Xmithie” Puchero (Lee Sin), TL’s support Jo “CoreJJ” Yong-in (Braum) picked up the kill on Clutch’s support Philippe “Vulcan” Laflamme (Lulu). Heo “Huni” Seung-hoon (Rumble) committed his Teleport to the play and was able to make it a one for one trade with a kill on Xmithie. As Xmithie heavily focused the bottom lane, Liquid got the first turret bonus gold while also freeing CoreJJ and Yiliang “Doublelift” Peng (Sivir) to go around the map. TL quickly built a solid lead, adding two Infernal drakes as well. The game saw the reigning LCS champions employ a different strategy as Jung “Impact” Eon-yeong turned into a split push with a rare carry pick in Akali. The Baron was ignored until the 35 minute mark, when TL followed a good pick on CG’s AD carry Chae “Piglet” Gwang-jin (Caitlyn) with the objective. In a single push, Liquid forced its way into the base, picked up three kills and closed the game to remain undefeated two weeks into the split. FlyQuest quickly built a good lead, taking down the first three turrets. TSM tried to get back by attempting to sneak in a Baron execution 29 minutes in. FLY spotted the play and Eugene “Pobelter” Park (Zoe) continued his great start to the split by stealing the objective. The buff opened the mid lane inhibitor for FlyQuest. While V1per split towards the bottom side, FLY tried to force a fight and end the game. TSM however picked up a key shutdown on WildTurtle and used the momentary advantage to set up a desperate attempt at the Baron. Akaadian once again failed to secure the objective, missed his Smite and Santorin stole a second Baron for FLY. V1per teleported into TSM’s base to win the game through the backdoor as the rest of FlyQuest cancelled TSM’s recalls to buy him enough time. Dennis “Svenskeren” Johnsen (Lee Sin) picked up the game’s first kill with a mid lane gank on Tristan “PowerOfEvil” Schrage (Zilean). The first turret, meanwhile, went for CLG as the team committed four players to the bottom side in order to secure the objective, cashing in on the five plates as well. And Counter Logic Gaming proceeded to dominate the game, destroying the first three turrets while also building a solid lead in gold and kills. As CLG started the Baron, C9 tried to contest the execution. Svenskeren tried to get into the fight from the flank but instead found himself on the receiving end as CLG turned the damage onto him. 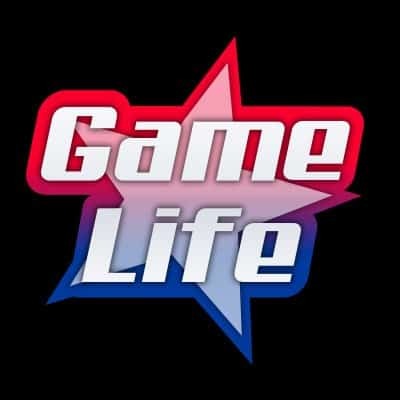 Up by one, Counter Logic Gaming picked up two more kills and secured the Baron buff. Yasin “Nisqy” Dinçer (Aatrox) found a good flank as CLG pushed for the mid lane inner turret and Cloud9 halted their opponent’s advance with three kills. Counter Logic Gaming had to back off and wait for the second Baron to come into play. The second buff also went for CLG at the 34 minute mark to set up the game winning push. As C9 found itself down two inhibitors, the 2018 World Championship semifinalists forced a fight, which dragged on for some time until CLG found a good pick on Zachary “Sneaky” Scuderi (Kai’Sa). With no reliable damage source on their side, C9 had to back off as Counter Logic Gaming went for the Nexus to complete its 2-0 weekend.